On a roll with attempting artsy nails. 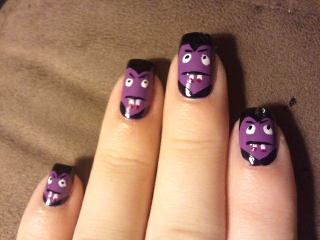 Todays nails : mini vampire draculas! Super fun to create but even after waiting about 20 minutes before I did my top coat, the kiss blackk STILL bled! 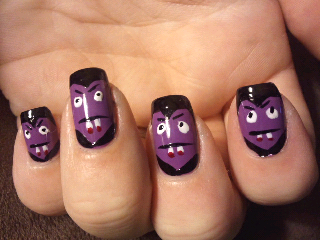 I think these would be best done on short nails too.